Description: Theme Mag Responsive Blogger Templates is a responsive blogger template that comes with some advanced features. It’s ideal them for you to showcase your work with dynamic features. 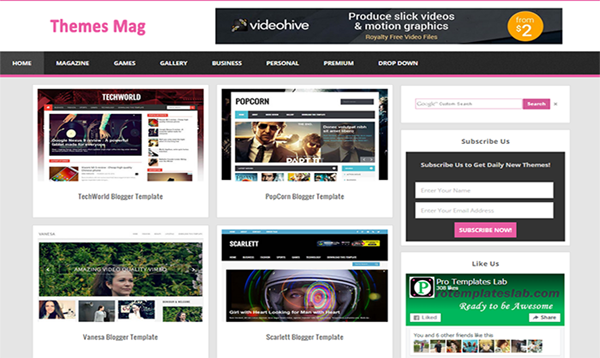 Theme Mag has creative and stylish design that makes your blog more awesome. It’s optimized for search engines as well as compatible with all devices, so your site readers can easily browse your site from any device and get benefits from your content. If you’re looking for any professional theme with fast loading speed to showcase your portfolios, themes or any other type of work then theme mag is best choice for you to make your blog more awesome.